As anyone who has ever got any kind of insurance will testify, the application process isn’t always fast (except on The Bike Insurer!). That’s because insurance quotes are based on a wide variety of facts and figures, and to get those facts and figures, insurers need to ask you lots of necessary questions. Here, we outline how motorbike insurance is calculated and the facts and figures that influence the cost of your insurance premium. Understanding how motorbike insurance is calculated can even help you reduce your insurance cost – if you know what influences it then you know what you can do to lower costs. It’s no secret that younger riders generally pay more for their motorbike insurance than older, more experienced riders. And while you may be the safest young rider in the world, statistics are against you and they’ll be used to calculate your risk. Young riders are more likely than any other age group to be involved in an accident and make claims on their insurance. So if you’re aged between 17 and 25, you’re going to be whacked with the highest insurance premiums. There’s not a lot you can do about it. Where you live and therefore where your motorbike lives is a major factor in determining your annual insurance cost. If you live in busy, built-up areas where there’s a greater risk of accidents, or if your postcode has a high level of vehicle theft, then you’re going to pay more for your insurance as you are deemed more at risk than those living in rural areas where vehicle theft is less frequent. The cost, power and desirability of your motorbike are three major factors in calculating your motorbike insurance. Obviously, the more expensive your motorcycle, the more expensive it will be to insure as it will cost more money to replace or repair following theft or an accident. However, the flip side of this is that owning an old, cheap moped won’t automatically get you cheap insurance because its low value may mean you’re less likely to ride carefully on it – the culmination of lots of different factors goes into calculating your motorbike insurance. 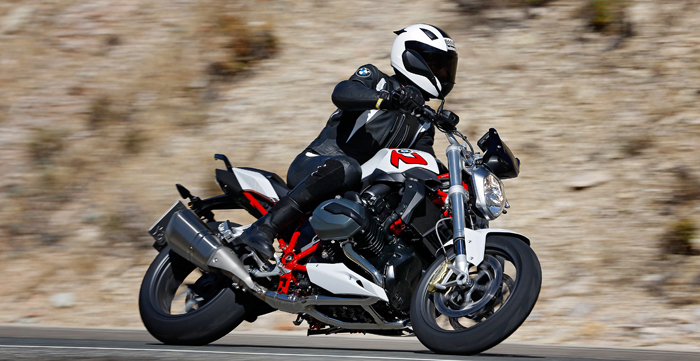 Power is another important factor in calculating the cost of your annual motorbike insurance. It sounds obvious but the more powerful your bike is then the more likely it is deemed to be involved in accidents, according to statistics. If you modify your bike to make it more powerful you need to inform your insurer and it will more than likely increase your insurance premium as well. The last aspect of your motorcycle that will have a bearing on your insurance premium is desirability. The more desirable your bike is then the greater the risk of it being stolen. The type of insurance cover you go for influences how much your eventual insurance premium will cost. Comprehensive cover will generally bump your insurance premium up higher than third-party, fire and theft because there are more opportunities for the insurer to pay out in the event of a claim. For example, Third Party insurance is usually cheaper because the insurer will only have to pay out for damage you cause to other vehicles, rather than your own bike as well. The way you use your motorbike is another factor in calculating your insurance premium. If you use your motorbike to commute, as well as ride socially, then you will pay more as you are riding your motorbike more and at busier times. Similarly, the higher your mileage, the more your insurance will be as you’re on the road more and at more risk than somebody who takes their bike out twice a year. When agreeing your insurance policy and premium, your insurer will ask for you to set your voluntary excess and it’s one of the factors that determines, and is used to calculate, your final insurance price. The higher your voluntary excess (the amount of money you volunteer to pay in the event of making a claim), the lower your insurance premium will be. That’s because the higher your voluntary excess, the less likely it is that you will claim and also the lower the amount your insurer will have to pay out if you do claim as your excess will make up a bigger portion of the payment. Voluntary excess is separate to compulsory excess. With compulsory excess, you have no influence over how much it is and it has to be paid in the event of a claim. One of the biggest factors in calculating motorbike insurance is your riding history and No Claims record. If you have made lots of claims on your insurance in the past five years then you will not have any no claims history and will therefore be deemed more likely to make a claim. Similarly, if you have any riding endorsements on your licence, for speeding for example, then it will be factored into your motorbike insurance calculation and will push your final insurance premium price up. The cleaner your licence and the longer your no claims bonus history, the less your insurance premium is likely to be. The number of riders named on your insurance policy will have a major bearing on how your insurance premium is calculated. If there is an experienced rider with a long no claims history who adds a brand new rider, their insurance premium will increase as they’ll be deemed more at risk of making a claim. How you keep your motorbike overnight is a factor used to calculate your motorbike insurance. The general rule is that the harder it is to steal, the lower your insurance premium will be, obviously. Using things like ground anchors, parking in a locked garage and trackers recognised by your insurer will all help to lower your insurance premium. Next page: Why do insurance prices change?